In all areas of your business, you put time and consideration into the decisions you make, and when it comes to your domain name, consideration is key. Choosing a brand name is one of the most important things you can do for your business. And not just a brand name, but a domain name, as well. Whether you use your company's name or a different name when you set up your website, you have to take many things into consideration. Your brand should convey a great deal of information about you company, your product or service, your goals, and your personality, as well. Any trademarks, logos, and images that are a part of your website and marketing scheme should be considered when choosing your domain name, and understanding the importance of the extension (whether .com, .net, .org, or another option), as well. If you're only selling in a specific country your domain name extension will be different than if you're selling internationally, for instance. With so much to consider (and so much resting on the ultimate decision), it is helpful to have actionable steps to follow in order to arrive at the result you want. 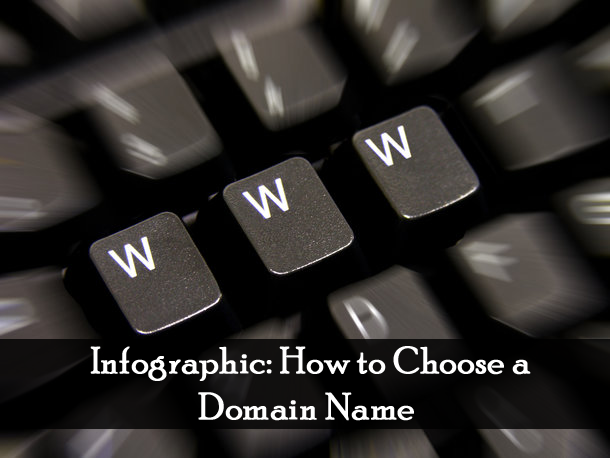 Below is an infographic that will help you understand the complexities of choosing a domain name in a simple, easy to understand format. You can use following code to embed this Infographic. Such an informative post, Chandeep! Welcome back! Love the section on protect your trademark. How can we do that? Btw, could you pls advise how to add label in the gallery you've designed for me in the template? I tried typing 'product' below 'recipes' but it didn't work. Cheers! Hi Shirley, Thanks for commenting. Welcome Back Chandeep Bro .! hello am using a friend Elice your templates and I wonder how do I put this emcima of posting ad? before purchasing a domain always remember that how a user can easily remember your website URL.